As nations grapple with how they can slash their emissions as part of the Paris climate agreement, some may use international credit schemes that were approved in the treaty process. 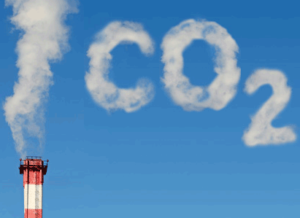 A new report from the European Commission casts serious doubts about such credits, however, concluding that the vast majority of them likely fail to actually reduce emissions. The report, which was written last year but not published until this April, concludes that buying and selling emissions credits for overseas projects should be limited to a select list that meet rigorous standards, and used only as part of a transition to more effective policies for mitigating greenhouse gas emissions. Accelerating the energy transition in The Netherlands: cost or opportunity? Hey Buddy!, I found this information for you: "Emissions Credits Likely Worthless in Reducing Emissions, EU Study Says". Here is the website link: https://www.duurzaam-ondernemen.nl/emissions-credits-likely-worthless-reducing-emissions-study-says/. Thank you.